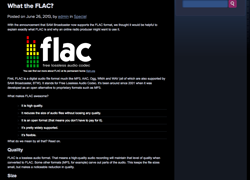 Spacial makes software that allows people to set up and program their own online radio stations. They wanted a special mini-site to highlight features of a new product and to reinforce their brand. 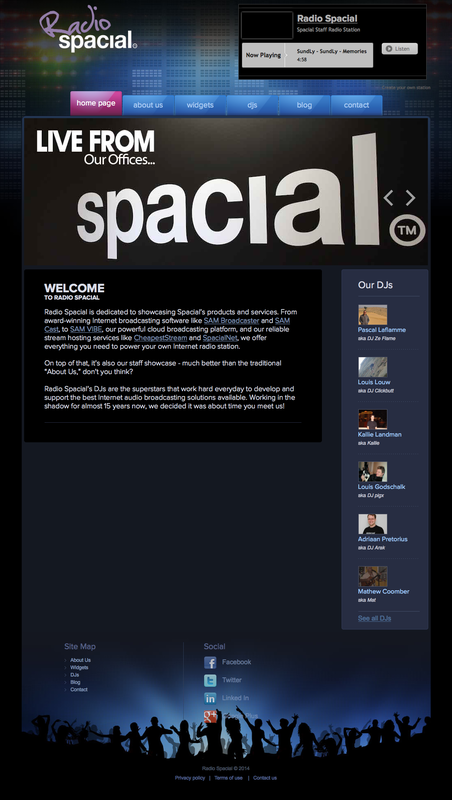 Radio.Spacial began as a simple WordPress setup and configuration, but quickly became complicated by a faulty database. Solving this issue involved a whole lot of hand-correcting database entries. It was an arduous process, but the end result was well worth the effort. The company wanted a blog to feature information that would both highlight their software and help inform their users. 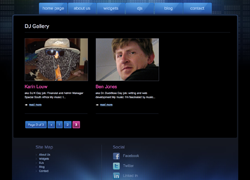 Radio.Spacial features a gallery of staff DJs – including me, Dr. Duckfloss! The main purpose of the mini-site is to feature the website widget functions of their software.